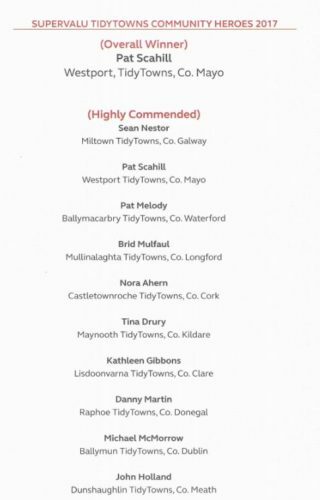 Milltown Fishing Enthusiast Sean Nestor Milltown (Tidy Town’s Committee) was awarded one of only 10 places at the 2017 annual Supervalu Tidy Towns awards ceremony in Dublin on Monday for his outstanding voluntary work in rehabilitating the spawning areas of the River Clare and its tributaries for Wild Atlantic Salmon and Sea Trout, and organising the Galway Angling clubs to act as a cohesive group in cooperation with the IFI and the OPW. 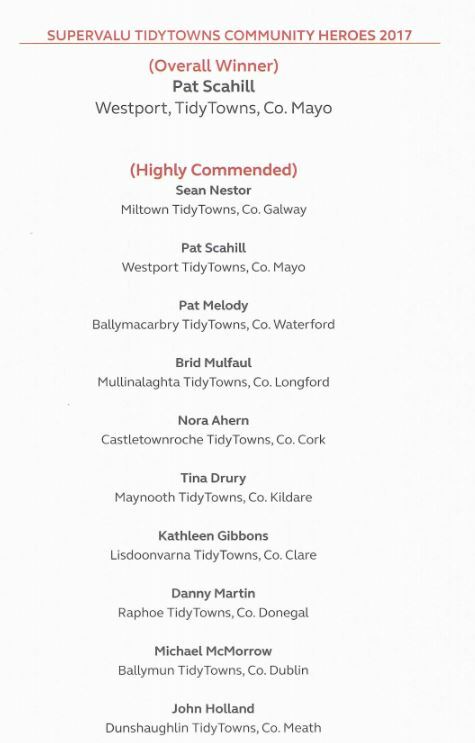 Sean was sponsored by O’Toole’s Supervalu Tuam and nominated by Milltown Tidy Towns. A wonderful achievement for Sean & Milltown! This page was added on 28/09/2017.